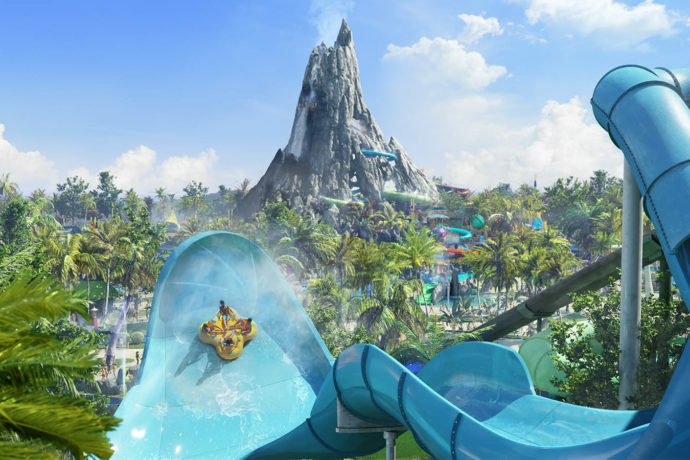 Universal Orlando has released incredible details about all of the attractions and features of the upcoming Volcano Bay water theme park. Firstly, they have said that tickets will be available to visit the new park as early as June 1, 2017. 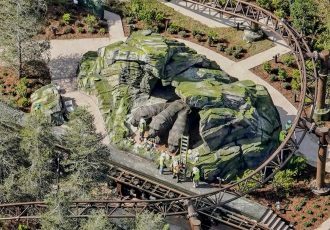 This won’t be the official grand opening date, but the park itself will be open by then. 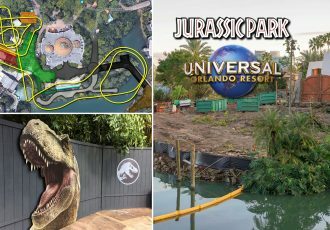 In addition to information about the four themed areas of the new park and 18 different attractions, Universal is also touting how this will change the way you experience a water park as well. “Here, there’s no standing in long lines. No wrestling with tubes. No waiting for the fun to begin. 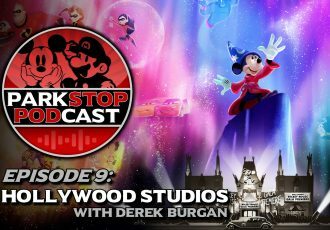 Which means you spend more time drifting leisurely down a winding river, plummeting down a tropical volcano, catapulting into pools of blue water, and reconnecting with your family.” See all the great details below along with some new amazing concept art and stay tuned for more theme park news! To help shape our vision, we traveled around the world visiting water parks and tropical resorts. We went to Bali, the Middle East, Europe and all across the United States. And from there, we started designing what we wanted Volcano Bay to be. One of our first goals was to eliminate hassles for guests so they can focus on the fun. So we found a way to get rid of long lines. We made it so you don’t have to carry your tube. We spread amenities like dining throughout the park, so you don’t have to hike up to the front of the park for a bite to eat. And we brought the mindset of designing a world-class resort to create a water paradise. Spanning 28 acres, Volcano Bay will transport you to a lush, tropical oasis inspired by the Pacific isles. Every step while you’re here can be filled with thrills, indulgence or rejuvenation. Thrill seekers can enjoy unique experiences like surprising drop slides and our white-water action river. Or if you’re looking for a more relaxing experience, you’ll be able to enjoy our soothing winding river, serene beaches and two-story private cabanas. Volcano Bay is made up of four incredibly themed areas with Polynesian influences ranging from Easter Island, Hawaii, New Zealand and more. From the Universal Orlando Blog. There will be 18 attractions in four themed areas. 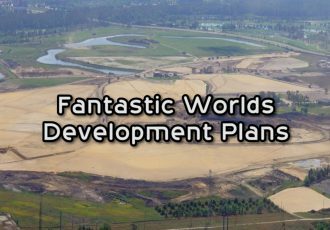 These will include a multi-directional wave pool with sandy beaches, a peaceful winding river, twisting multi-rider raft rides, speeding body slides that drop from the top of the volcano into the waters below – and a state-of-the-art marquee attraction that will be revealed at a later date. Volcano Bay will split into 4 parts: Krakatau (the volcano), Wave Village, River Village and Rainforest Village. Learn more about all of the planned attractions for each themed area below! At the heart of the park, you’ll see the 200-foot-tall volcano called Krakatau. By day, you’ll see its majestic waterfalls. And by night, the volcano will illuminate with blazing lava. Ko’okiri Body Plunge: A racing, 70-degree drop that will plummet 125-feet through the center of Krakatau. It will be the world’s first slide to travel through a pool filled with guests. Kala and Ta Nui Serpentine Body Slides: Two intertwining slides where you’ll fall freely along 124 twisting feet. 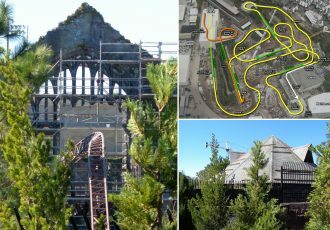 Punga Racers: A high-speed race through four different enclosed slides featuring manta-shaped mats. Secret Attraction: I can’t talk about this one yet, but it’ll be like nothing else in the park. Waturi Beach: A sparkling, multi-directional wave pool where you can swim, relax on the sand or indulge in private, one- or two-story cabanas. The Reef: An adjacent leisure pool with calmer waters and exciting views of riders speeding through the Ko’okiri Body Plunge. Kopiko Wai Winding River: A gentle, winding river that passes through the volcano’s hidden caves, featuring spontaneous water effects and a journey through the cave of starlight. Tot Tiki Reef: A whimsical toddler play area with spraying Maori fountains, slides and a kid-size volcano. Maku: North America’s first “saucer ride”, sending multi-passenger rafts speeding around three saucer-shaped curves. Puihi: A breath-taking multi-passenger raft ride that will plunge you into darkness before bursting into a funnel and launching into a zero-gravity drop. Ohyah and Ohno Drop Slides: Two twisting, adrenaline-pumping slides that launch you four- or six-feet above the water at the end. TeAwa The Fearless River: An action-packed, racing torrent river where you’ll have to hang tight in your inner tube amidst roaring, whitewater rapids. Taniwha Tubes: Four unique Easter Island-inspired slides with rafts for single or double riders. Puka Uli Lagoon: A tranquil pool where you can swim and relax. While Universal isn’t yet willing to divulge information just yet, many believe that the “secret attraction” will be a water coaster. It’ll be an attraction that will put riders in rafts at the base of the volcano. Then a lift hill will actually take the rafts, with guests on it, up the hill. Then the ride would start. It might pass through the volcano mountain and may contain themed elements and special effects, making it a true theme park ride, that just so happens to also be a water slide. Stay tuned for more information on this “secret” attraction! See all Volcano Bay updates, including concept art and building plans here. Stay tuned to the feed for breaking theme park news and more Volcano Bay updates!